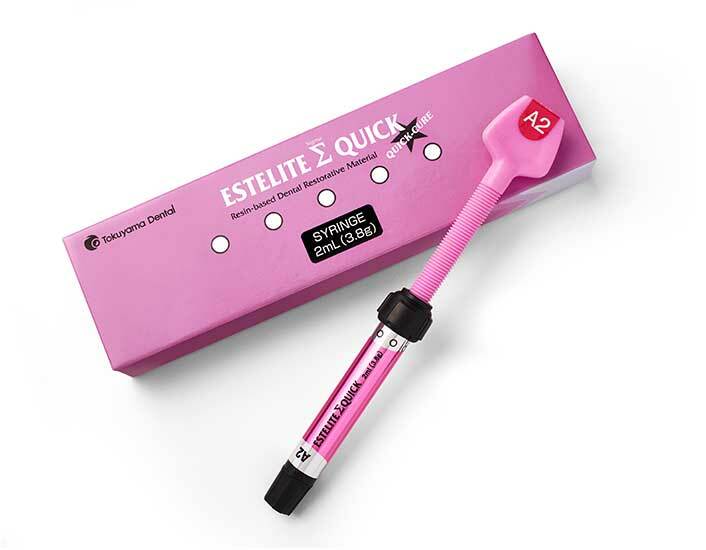 Estelite Sigma Quick is new and improved, with longer working time, shorter curing time, and more shades than the original formulation. Building on the exceptional polishability, gloss retention, wear resistance, and shade matching of its Estelite Sigma light-cured, universal resin composite, Tokuyama America now offers Estelite Sigma Quick. The new formulation provides extendedworking time (90 seconds), reduced curing time (by one-third), and 3 additional shades (20 shades total). The 100% spherically filled composite (filler weight of 82%, volume, 71%) comes in a 3.8 g Quick Syringe or in 0.2 g preloaded tips (PLTs). 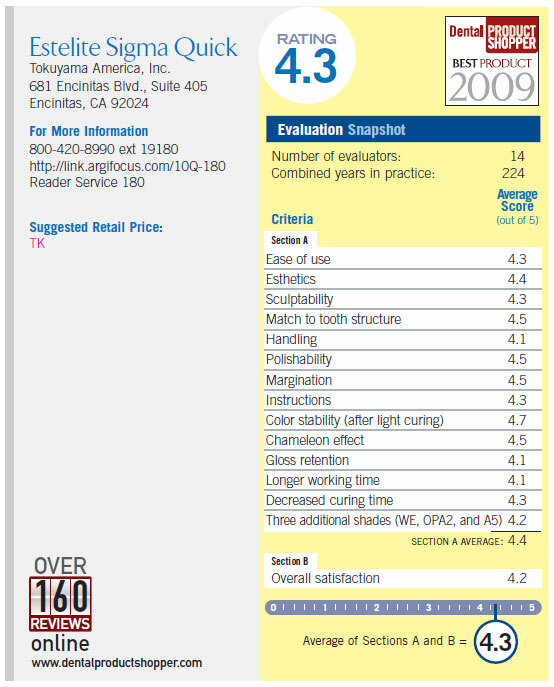 Eleven of the 14 dentists who evaluated Estelite Sigma Quick for this issue of Dental Product Shopper also participated in the April 2009 evaluation of the original formulation.